This morning in the train station I noticed everyone was getting their new monthly passes. I thought "Wow, they are so proactive." Then I realized, with only one minute to spare before my train arrived, that it was October 1st and that I myself needed a new pass! I was able to grab one and make my train, thankfully. I love October. It feels like the official beginning to fall. October brings in the beginning of the holiday season. BabyCake's birthday is October 9th. My wedding anniversary is October 18th, then Halloween, Thanksgiving, Christmas, New Years, and my (30th) birthday. Oh my! October brings in comfy sweaters, warm beverages, soups, hats, scarves, and an energy of possibilities. My wedding anniversary is October as well! So many reasons to love this month. I love the colors. Congratulations! How long will you have been married? 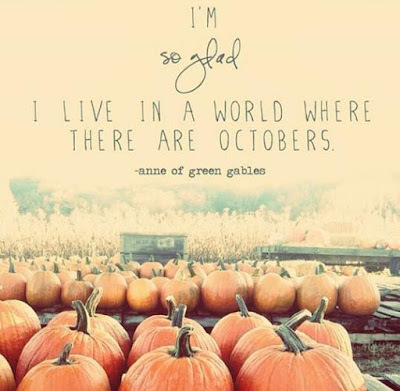 I love October too, though I never realized I did until recently. I am a warm weather girl, but there is so much that is magical in the next few months as a mom. Magical is a great way to put it!